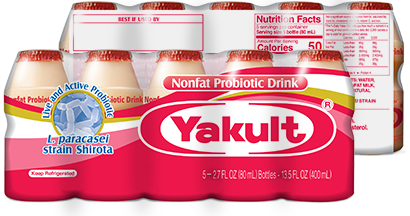 Yakult is a probiotic drink, that when consumed daily may help balance your digestive system and maintain overall health. 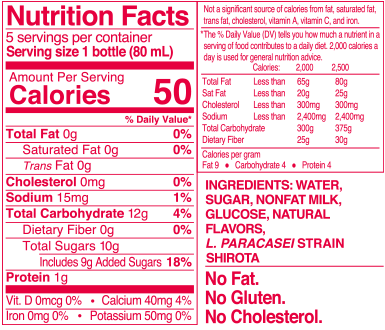 Contains 50 calories per bottle and 11 grams of sugar. No fat. No cholesterol. No preservatives. No gluten. No highfructose corn syrup. No aspartame. Yakult is sweetened with Sucrose.